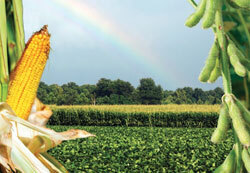 Energy issues relating to the production of corn and soybeans are more complex than some would like to think. That’s the basic conclusion of a recent paper issued by the Council for Agricultural Science and Technology (CAST). – develop consistent federal, state, and local policies for bioenergy development to provide guidance for private and public investment. Interesting reading. The full text of www.cast-science.org”>’Energy Issues Affecting Corn/Soybean Systems: Challenges for Sustainable Production” may be downloaded free of charge on the CAST website at www.cast-science.org/publications, along with many of CAST’s other scientific publications. The paper also is available in hard copy for a shipping/handling fee.